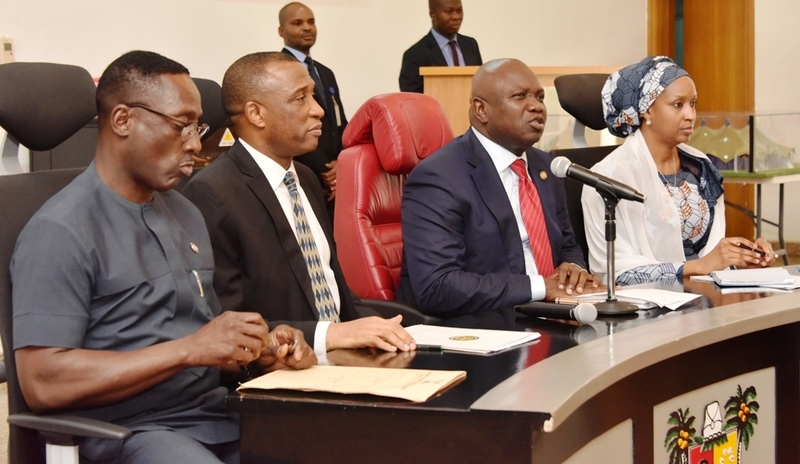 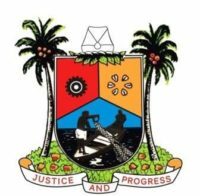 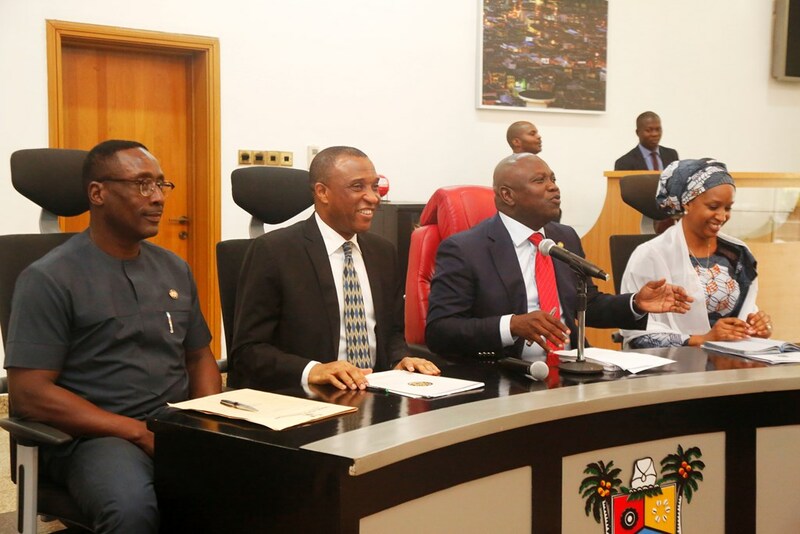 Lagos State Governor, Mr. Akinwunmi Ambode (2nd right); Managing Director, Nigeria Port Authority (NPA), Hadiya Hadiza Bala Usman (right); Commissioner for Transportation, Mr. Ladi Lawanson (left) and Secretary to the State Government, Mr. Tunji Bello (2nd left) during the Governor’s meeting with NPA, Tank Farm Owners, Shippers Council and other Stakeholders on the Apapa Traffic Situation at the Lagos House, Alausa, Ikeja, on Monday, July 23, 2018. 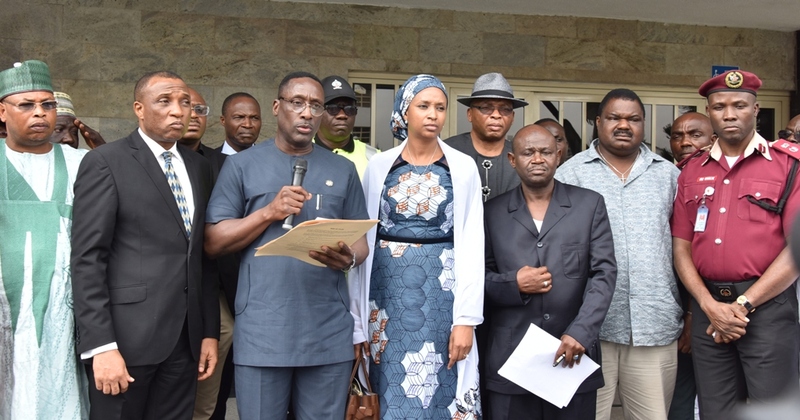 Secretary to the State Government, Mr. Tunji Bello; Commissioner for Transportation, Mr. Ladi Lawanson; Managing Director, Nigeria Port Authority (NPA), Hadiya Hadiza Bala Usman; Permanent Secretary, Ministry of Transportation, Dr. Taiwo Salaam; Chairman, Amalgamation of Container Truck Owners Association, Mr. Olaleye Thompson, addressing Government House Correspondents shortly after the Governor’s meeting with NPA, Tank Farm Owners, Shippers Council and other Stakeholders on the Apapa Traffic Situation at the Lagos House, Alausa, Ikeja, on Monday, July 23, 2018. 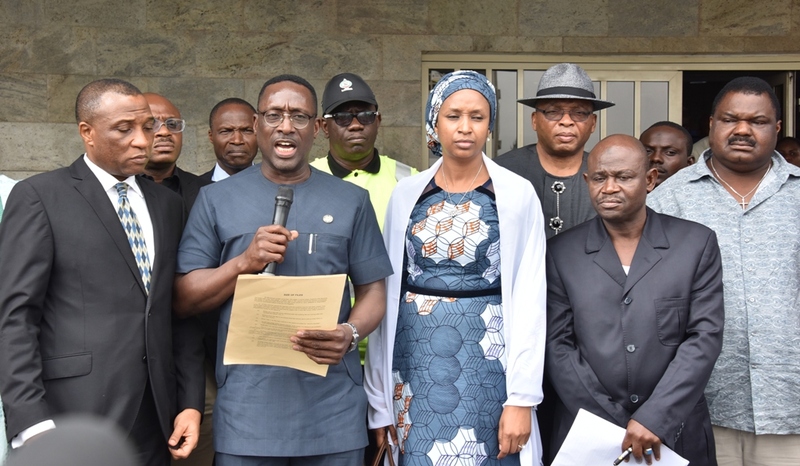 With them are General Manager, Lagos State Emergency Management Agency (LASEMA), Mr. Adeshina Tiamiyu (middle behind) and General Manager, Lagos State Transportation Management Authority (LASTMA), Mr. Wale Musa (left behind).